The Mail has a pop at Arsenal’s Mesut Ozil. The paper says the player “was recently pictured on holiday in a hookah lounge as the Gunners lost to West Ham”. Arsenal lost 1-0 to West Ham on Saturday in the 12:30 kick off. 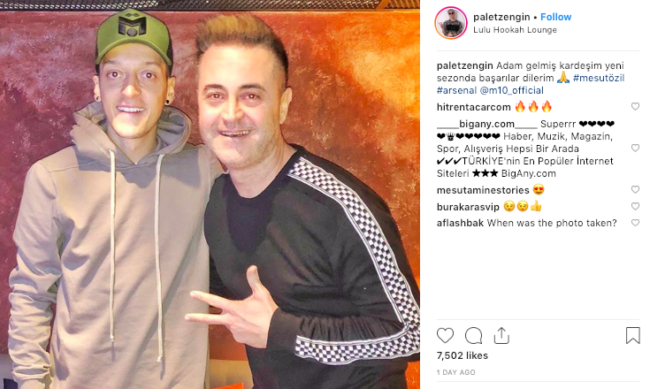 The image reproduced by the Mail is of Ozil at Istanbul venue Lulu Hookah Lounge. 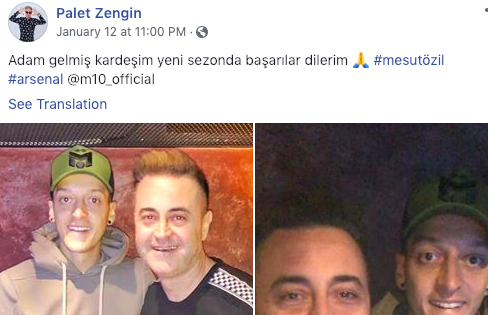 Ozil is seen posing for a photo with a well wisher. The image was posted on an Instagram page belonging to @paletzengin on January 13. The same image can be seen on Palet Zengin’s Facebook page on the 12th at 11pm. Istanbul is three hours ahead of London time. So was Ozil “chilling” at the same time as Arsenal were suffering defeat at West Ham? If he was, the paper provides no proof.